I love being a Latina because to me it's the best of both worlds! The Latino community is very close, family is very important to us and I love the colorful culture and being able to demonstrate that in our food, fashion and music! Despite being Latino, people especially Mexicans would probably assume that I can eat super spicy food...but truth be told I am a whimp when it comes to spicy food! I love the color PINK! but I also love red, yellow and anything bright! 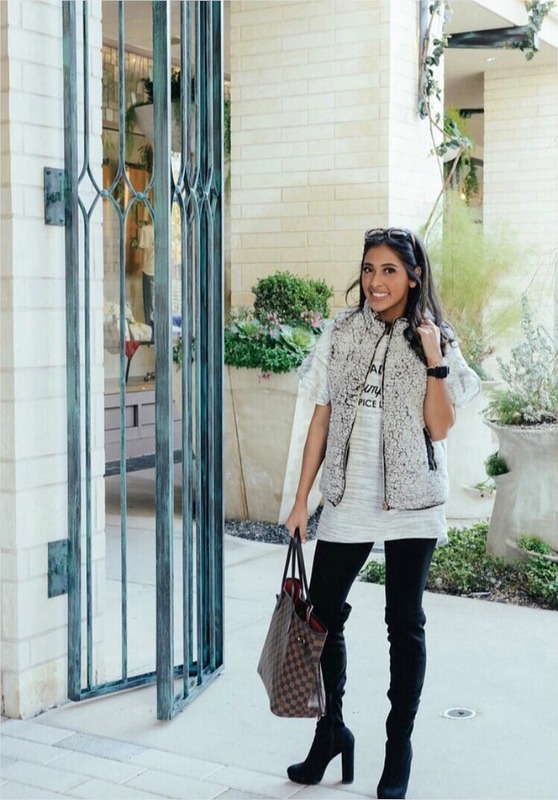 My closet mainly consists of black, white, pinks and neutral colors. I'm currently obsessed with jean jackets and high-waisted jeans and or shorts! but my outfits tend to vary depending on what inspires me that day. 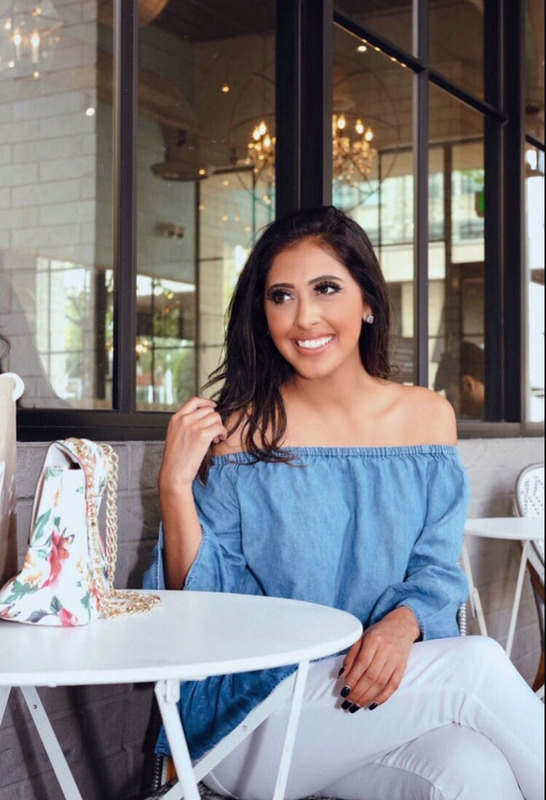 I live in Houston so the trends can vary from time to time, but now with spring rolling around I'd say ruffles, off the shoulder tops, dresses, romper styles such as cropped set or with long pants are also pretty trendy right now and basically anything that makes you look cute but comfy cause living in Houston the heat is NO joke! My favorite designer is Tory Burch from their sandals, to their jewelry to their handbags. Their designs are unique, the materials of the products are exceptional and they offer great customer service which is a big plus for me! I love the brand in general and what they stand for. I also love supporting women entrepreneurs, I believe It's uplifting, it's encouraging and the world needs more women entrepreneurs/boss babes! 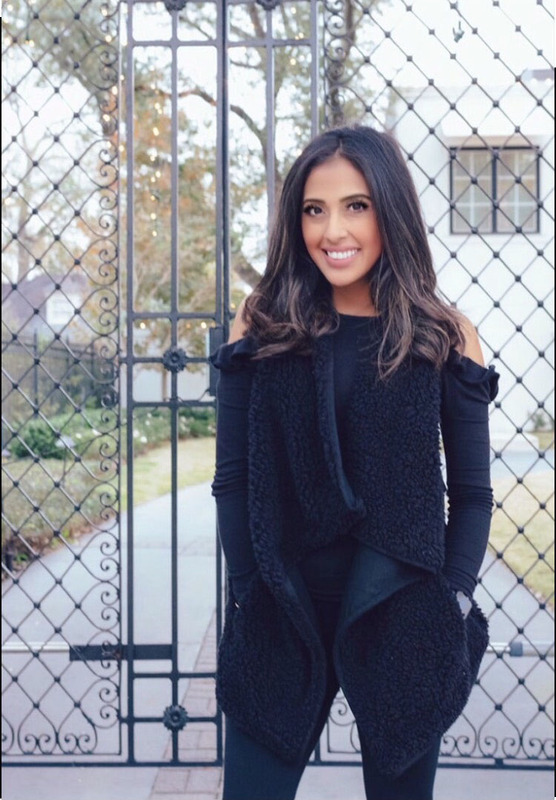 I also love brands such as Altar'd State and Kendra Scott, these brands are not only created by women as well but they contribute their time, money and effort into pouring back into the community and to me that is HUGE. I absolutely love Blake Lively's style! So gorgeous, effortless and stunning! What I love most about her style is that it's trendy but modest at the same time. She looks beautiful without having to show her goodies. I also love Roselyn Sanchez style! So chic and stylish! I also get outfit inspiration from Eva Longoria and Jessica Alba two other amazing women boss babes! I see myself creating, inspiring and using my platform to impact and touch as many lives as I can. I want to inspire women from all over the world to be all that God created us to be! 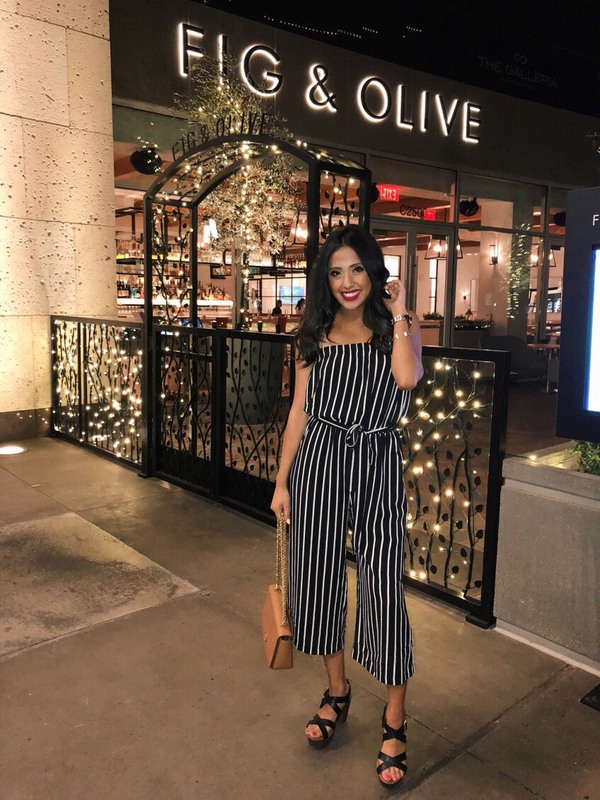 As a Latina lifestyle blogger I not only want to talk about the latest trends in fashion but also use the opportunity to build a strong community and inspire women to use their gifts and talents to do the same. Together we are stronger and I truly believe that.